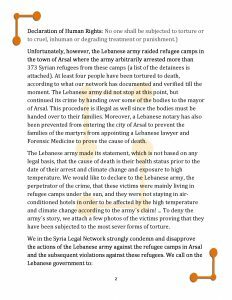 A statement of condemnation and disapproval against the Lebanese army storming the Syrian refugee camps in Lebanon. 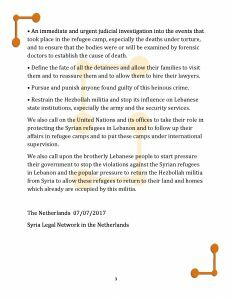 We, Syria Legal Network Netherlands, have mercy on the victims and wish the wounded a quick recovery. 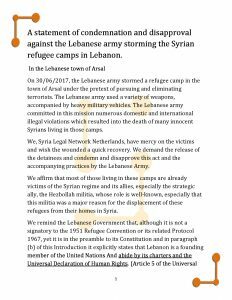 We demand the release of the detainees and condemn and disapprove this act and the accompanying practices by the Lebanese Army.